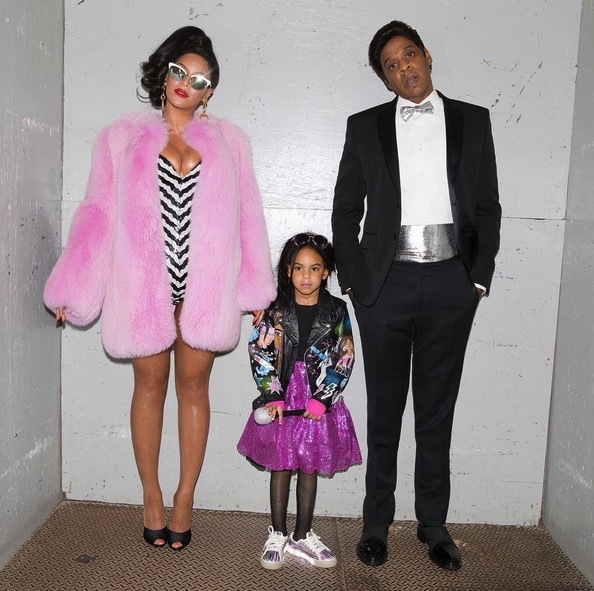 Celebrity Families Attend 6th Annual Santa's Secret Workshop! 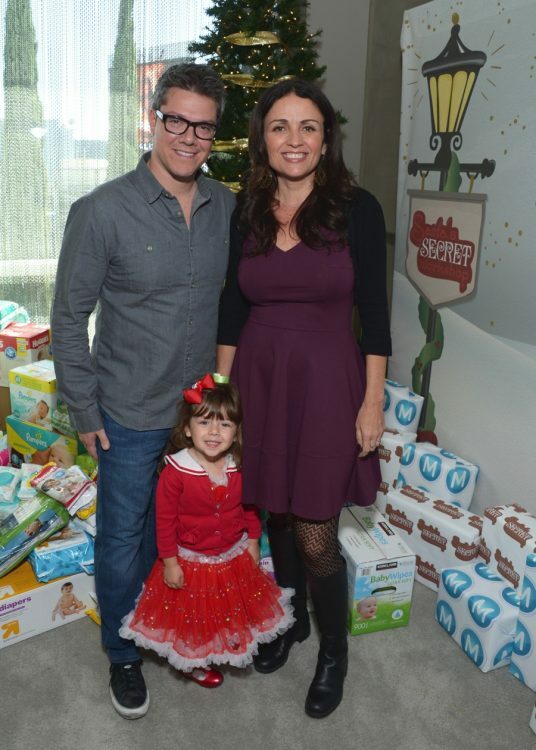 Home » Celebrity Families Attend 6th Annual Santa’s Secret Workshop! Celebrity Families Attend 6th Annual Santa’s Secret Workshop! On Saturday, Dec 3rd, Hollywood kicked off the holiday season with the 6th Annual Santa’s Secret Workshop! 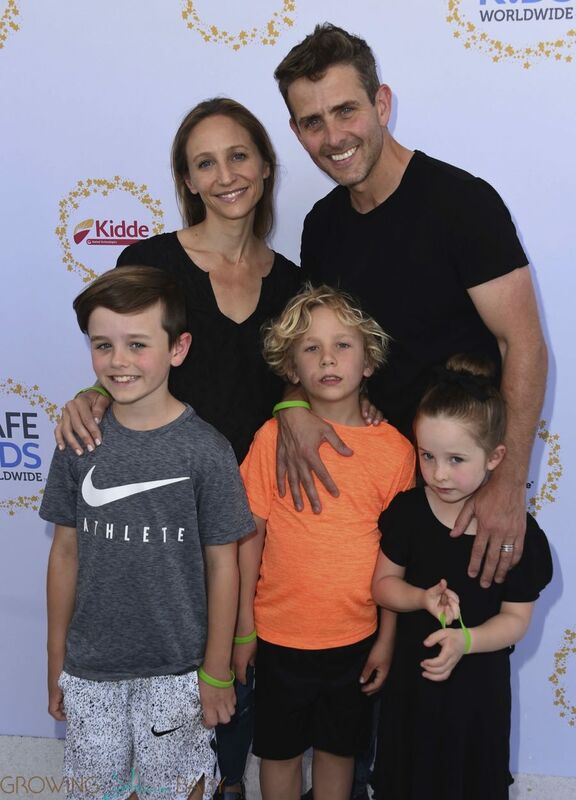 Bringing celebrities and brands together for a day of family fun at the Andaz Hotel in West Hollywood, the event benefited L.A. Family Housing, whose mission it is to help families transition out of homelessness and poverty through a continuum of housing enriched with supportive services. Fifth-time mama-to-be Tori Spelling and husband Dean McDermott posed by the tree with event hosts Bill Horn and Scout Masterson and their kids! In prep mode, the actress found some adorable mini mocassins from Freshly Picked for her new baby. 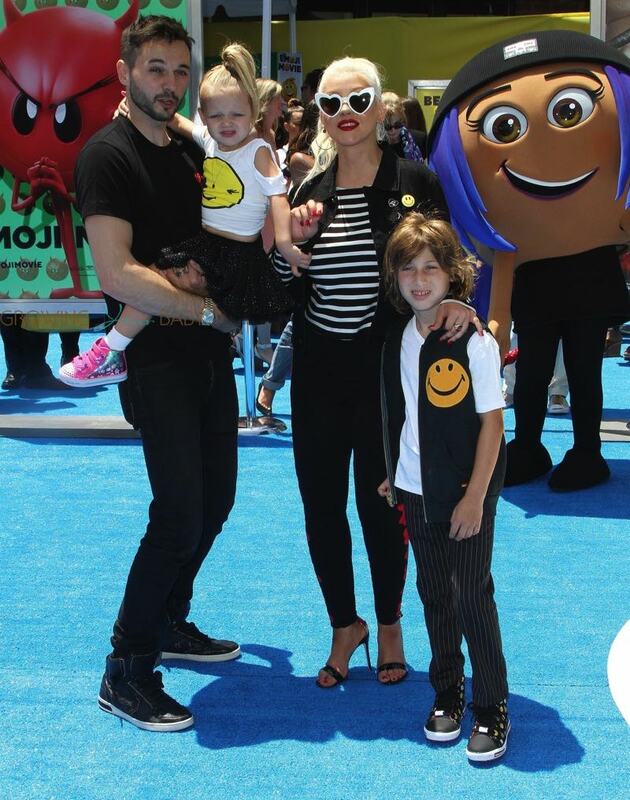 Also spotted was new mom Lisa Ling and her husband Paul Song with their kids Ray and Jett. 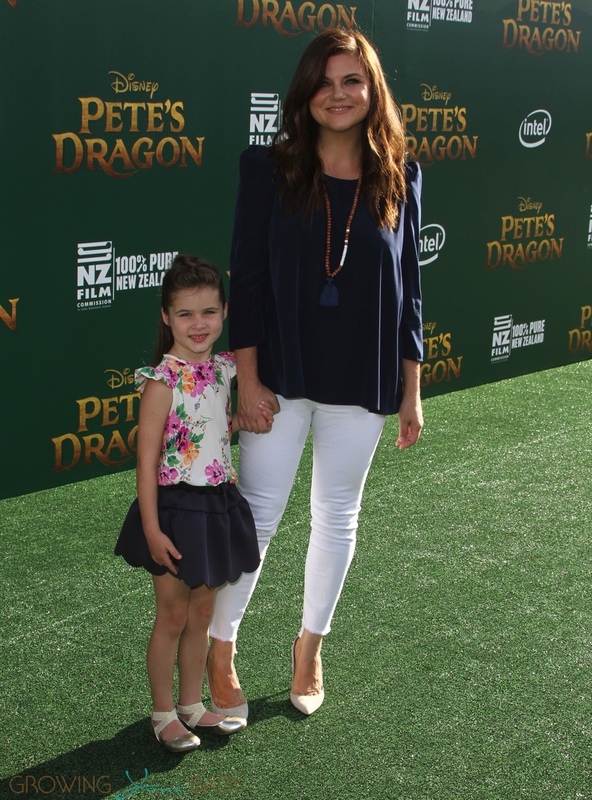 Tiffani Thiessen was all smiles as she attended the event with her kids Harper and Holt. Haylie Duff’s daughter Ryan couldn’t wait to get her doll out of the box! It won’t be long now before Christy Carlson Romano welcomes her baby girl. The actress showed off her growing belly in a red dress and jean vest. Other guests included Sarah Michelle Gellar, Lindsay Sloane, Tammin Sursok, Sara Rue, Phaedra Parks, Alanna Masterson, Beverley Mitchell, Sherri Saum, James Wolk, Camilla Luddington, Sean Murray, Anna Trebunskaya, Deanna & Stephen Stagliano, Marla Sokoloff, Marsha Thomason, Owain Yeoman, Alona Tal, Andrea Anders, Ashley Jones, Ashley North, Aubrey Anderson-Emmons, Catherine McCord, Christine Lynn Smith, Abby Ryder Fortson, Dania Rameriez, Edy Ganem, David Walton, Jurnee Smorlett-Bell, Grant Show & Katherine LaNasa, Eric Ladin, Ever Carradine, Jennifer Aspen, Kellie Martin, Maria Sansone, Michael & Emily Stagliano, Michael Raymond-James, Missi Pyle, Samantha Harris, and Jenni Pulos. 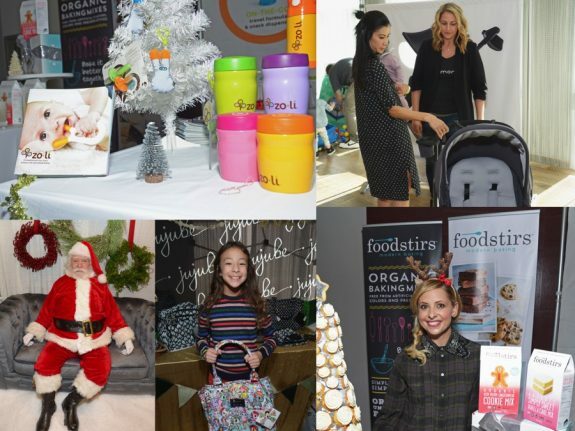 Companies showing off some of the hottest products of the holiday season include 4moms, Chatbooks, Corolle, Diono, Ergobaby, Faber-Castell, Foodstirs, Freshly Picked, Ju-Ju-Be, Loved by Hannah & Eli, Mabel’s Labels, Muck Boots, Munchkin, Mutsy, Owlet, smarTrike, The Silver Loft, Venice Beach Candle Co., Weestructed, and ZoLi.